80% cotton, 20% polyester Zip front close Long sleeves 2 pockets Knit style collar & sides & bottom Gray Pit to pit: 23” Shoulder to hem: 25” Sleeve length: 19” In great gently used shape. Classic Belted Trench Coat. Short Trench, falls below hip. Stretch Cotton, Unlined. COLOR: Beige. GFab - Go Green! Save the Green in Your Wallet and on the Planet! CAN BE REPAIRED OR WORN AS-IS BECAUSE THE SEAM IS A DOUBLE-SEAM. 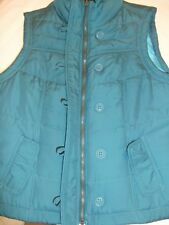 Sonoma Women's Cargo/Utility Jacket Size XL Green. 98% Cotton 2% Spandex. No stains or tears. The cord that cinches the waist has been removed.. Shipped with USPS Priority Mail. Sonoma Women's Cargo/Utility Jacket Size XL Light Stone. 98% Cotton 2% Spandex. The cord that cinches the waist has been removed. No stains or tears. Shipped with USPS Priority Mail. Sonoma gray suede leather 3/4 sleeve 3 button jacket Womens XL Very Nice! Sleeves are 3/4, lining is classy maroon/gray floral design. Great Jacket! Bust Armpit-Armpit 22". Arm Length 24". Length 22 1/2". This item was lightly worn. The inside of hat is faux fur. The front is zipper. Sonoma Cammo Green Jacket Size XL Nwot Shipped with USPS Priority Mail. Each sleeve features an embroidered pattern. Pit to pit: 22" Length from shoulder seam to bottom: 24" 98% Cotton, 2% Spandex. 100% of our proceeds go to helping those in need. Sonoma Denim Swing Jacket WNe. Material: cotton. This is a Sonoma peach colored warm, soft, fuzzy fleece like jacket. Not a regular fleece but soft thick and furry...(i tried getting close up pics so you can see what i am trying to describe. :) It has a full zipper, and is a size XL **Please check measurements of your own item that is similar so that you can ensure the fit. *We DO NOT accept returns, everything is Final Sale*. These measurements are taken while garments are laying flat. Measurements are approximate: Chest Across-24" Arm/Sleeve Length-30" Total Length-27"
Sonoma purple and black windbreaker jacket with floral pattern. Length 24". Bomber type jacket. Color: Peach. Machine wash cold. Long sleeves. Note: Good gently pre-owned condition. There is a small spot on the sleeve. See picture number four. Length collar to hem (down the back): 22". Shoulder to Shoulder: 17" Armpit to Armpit: 21" Total Length: 26". I make every effort to disclose any tears, stains, missing beads or buttons, ect. Due to lighting and computer monitor settings there may be variations in color of the item pictured. Beautiful jacket! Great condition! No holes or stains. Length: 21". Arm Length: 31". Shoulder: 15". Sonoma Lilfe Style. Military Style Jacket. Length 25" from top of collar to hem. Item is used by in very good condition. Size XL buts can also fit L.
Sonoma Life Style Women's Faux Suede Zip Front Jacket Blouse Career Casual Beige XL (B67) Approximate flat lay measurements: Arm pit to arm pit: 22" Sleeve length from shoulder seam to cuff: 24.5" Length: 25.5" Hassle free returns! Please check out the rest of my listings. Thanks! REAL Nice dark brown corduroy Stretch Jacket. 98% Cotton.2% Spandex. from armpit to armpit straight across 22" Unstretched. Sonoma Life Style Womens XL Tan Cordoroy Jacket Spandex/Cotton Stretch Comfort! 2% Spandex/98% Cotton Stretch Comfort! STYLE: Button Front Green Cotton Blazer Jacket. Materials: 97% Cotton 3% Spandex. Color: Green. This is a ladies 4 pocket, button down denim blue jean jacket. It is in very good condition or better. NO ding, tears, or holes. The only exception would be if we send you the wrong item. 24 hours before we process your item. Sonoma Life Style Fleece Zip Jacket - very soft. 100% polyester. Back length: 26". Underarm to underarm: 23" (46" bust). For each subsequent item. If the item(s) are gifts, we could indicate ?. Never worn. XL Petite. Sherpa construction. 100% Polyester. Super soft inside and out. Zip front with front pockets. Machine washable. Classic tailored fit double breasted white denim Jacket/Blazer with 6 Large Buttons Front and 2 Side Pockets. Chest Armpit to Armpit - 23". Shoulders - 17. Sleeves Shoulder to Cuff - 19". Sleeves Armpit to Cuff - 12". Beautiful Sonoma Double Breasted Jean Jacket that you will love. Style: Lined Button Down Jacket. Is it Lined:Yes. Material: Leather. Length (collar to hem): 28. Chest/Bust (armpit to armpit): 21. Sleeve Length (shoulder to cuff): 25. Does it have interior pockets:No. 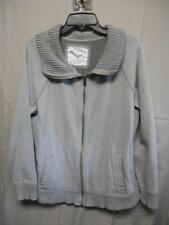 Women jacket Sonoma size XL Condition is Pre-owned. Shipped with USPS Priority Mail. REDUCED! Sonoma Life And Style Lambskin Jacket Womans XL Priced To Sell. Beautiful soft lambskin jacket with hand stitching around the lapel and collar. Also hand stitching around the seems as seen in the pictures. A beautiful beautiful jacket. Soft gray striped satin lining.